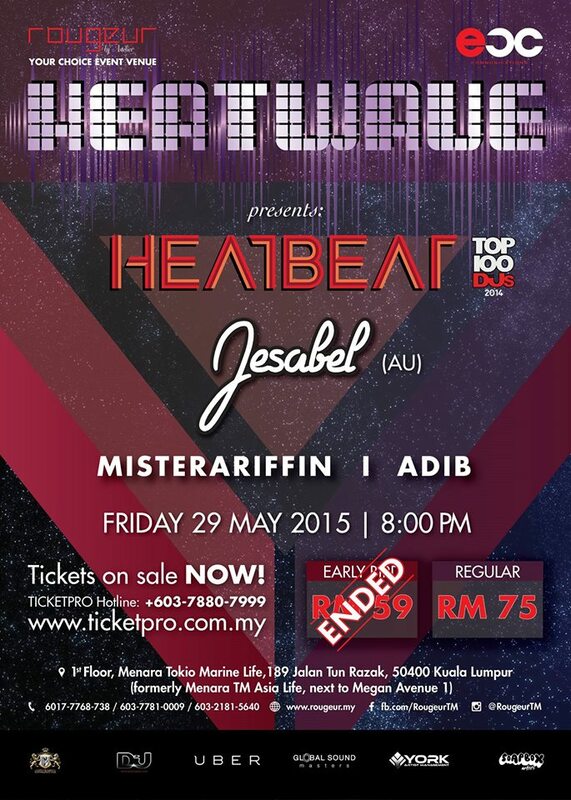 Get ready to party this 29 May as Heatwave hits Rougeur in Kuala Lumpur featuring headliner Heatbeat and Australian EDM queen Jesabel. Headliner Heatbeat is an Argentinean duo known for their cutting edge, futuristic sound which fuses multiple genres together to create a smashing new beat. In 2012, thanks to chart-topping hits including ‘Boom’, ‘Game Over’, ‘Extra Bacon’, ‘Rocker Monster’ and ‘Roses Never Cry’, the duo made their debut entry into DJ Mag’s Top 100 DJs at position 81. They’ve also been invited to remix and collaborate with major club scene leaders such as Armin Van Buuren, W&W, John O’ Callaghan and Cosmic Gate. 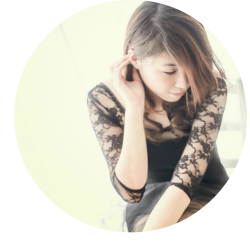 The event will also feature Australian EDM queen Jesabel with her signature electro and house beats. Having won boutique DJ competitions at Soho Fridays and GirlThing last year, Sydney-based Jesabel has been making a name for herself at DJ booths both down under and abroad. She’s worked with some of Australia’s top talents including Tigerlily, Uberjak’d and Will Sparks, and recently performed for a crowd of over 8,000 at Singapore’s Two Queens beach festival. Doors opens at 8:00 PM and the party begins with Malaysian DJs MisterAriffin and Adib. MisterAriffin previously played in festivals and events alongside other big names such as Paul van Dyk and Guiseppe Ottaviani. He has also played at every MC Asia event, warming up for Dash Berlin, Richard Durand, Jerome Isma-ae and during last New Year’s Eve, he shared the decks with Andrew Rayel, KhoMha and Marlo. DJ Adib is a self-taught spinner who plays numerous styles from House to Techno to Progressive House, and played at many notable clubs in Kuala Lumpur. His other exploits include hosting the Safari Bar at the Future Music Festival Asia 2014 and opening for DJ Tenishia at Hugo’s Lounge in 2013. Tickets for Heatwave include one (1) complimentary beverage and are priced at RM75.00 inclusive of GST. For further details, call Ticketpro at +603–7780 7999 or www.ticketpro.com.my, www.facebook.com/RougeurTM, or visit any of the Ticketpro outlets for more information.